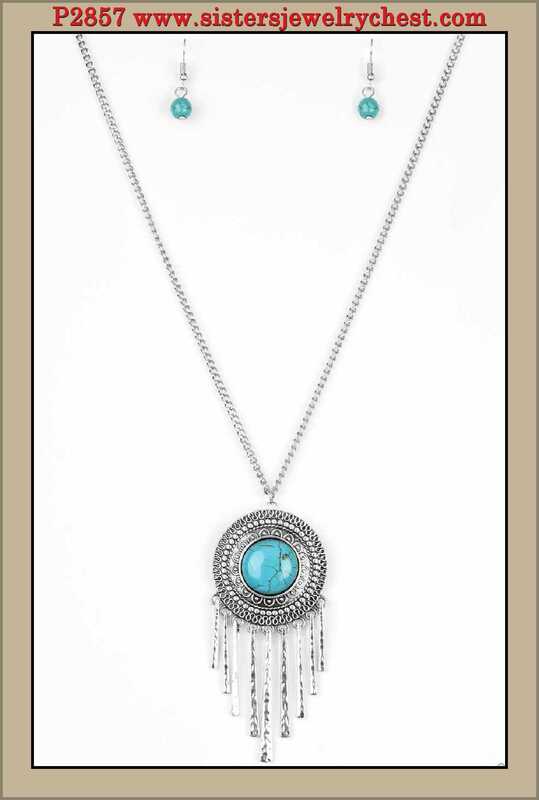 Necklace: “Bon VOYAGER” A refreshing turquoise stone is pressed into the center of a shimmery silver disc radiating with glistening tribal details. Swinging from the bottom of a lengthened silver chain, the bold pendant gives way to a fringe of delicately hammered silver rods for a wanderlust finish. 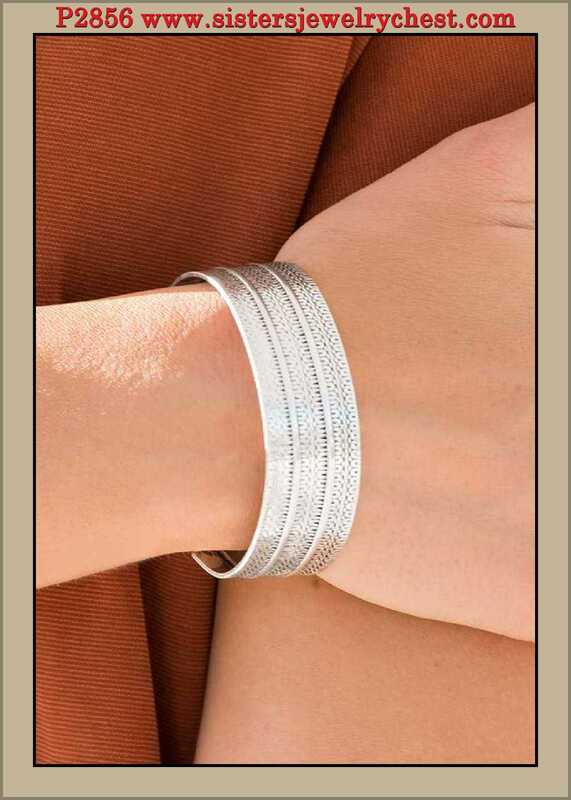 Features an adjustable clasp closure. 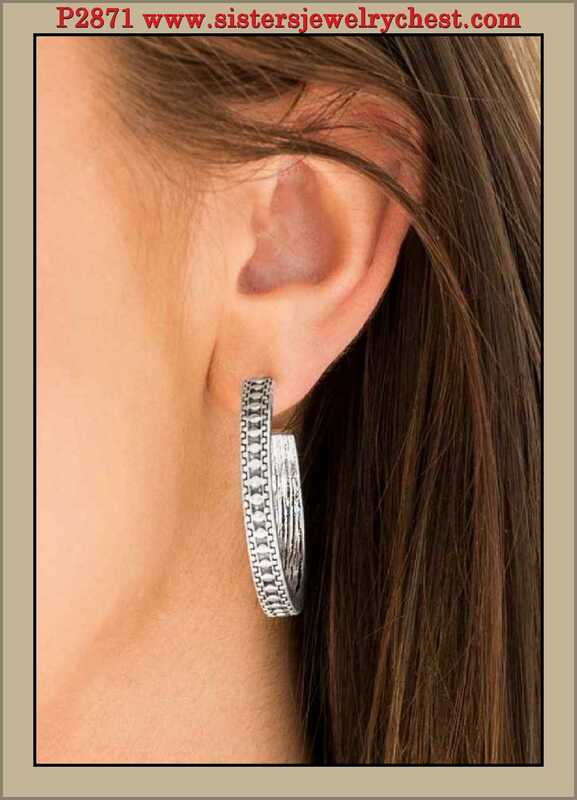 Earring: “Playfully Peruvian” Embossed in tribal-inspired details, a glistening silver hoop curls around the ear for a seasonal look. 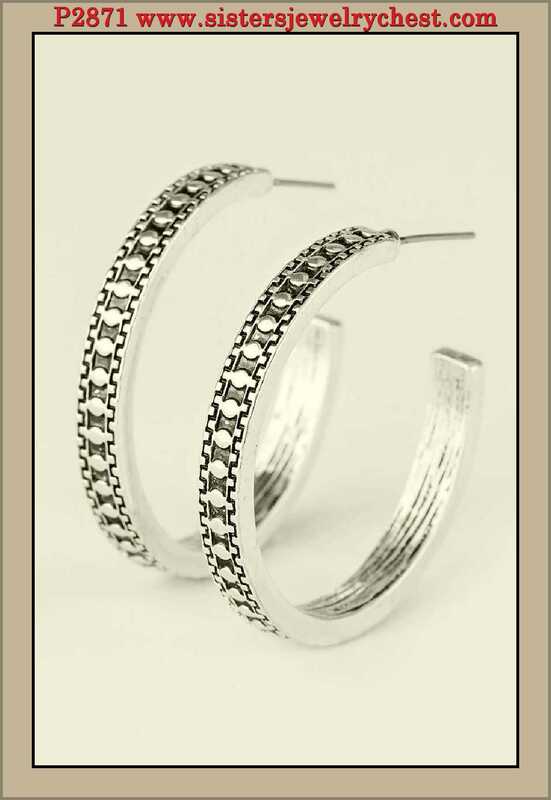 Earring attaches to a standard post fitting. Hoop measures 1 1/2″ in diameter. 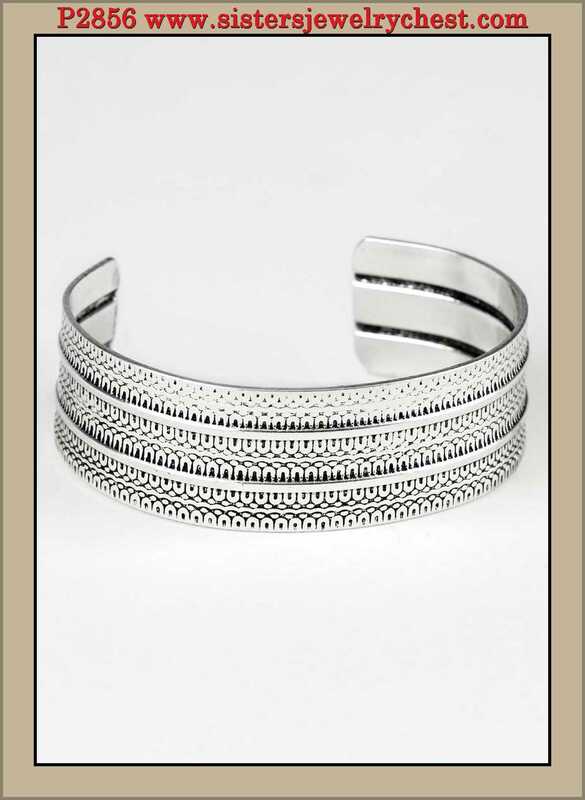 Bracelet “Absolute Amazon” Stamped in tribal-inspired patterns, an antiqued silver cuff wraps around the wrist for an indigenous look. Ring: “Summer-Retreat” Featuring smooth, hammered, and dotted surfaces, three glistening silver bands stack across the finger. 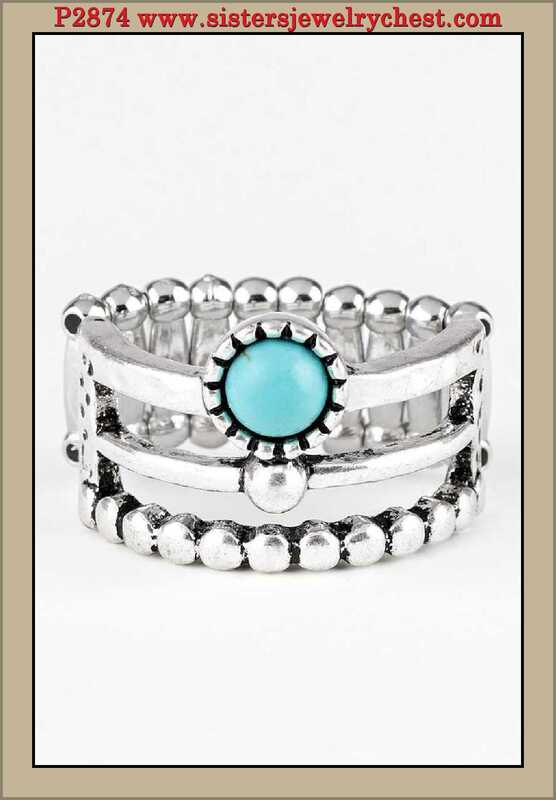 A dainty turquoise bead is pressed into the center of the uppermost band, adding a colorful finish to the seasonal palette. 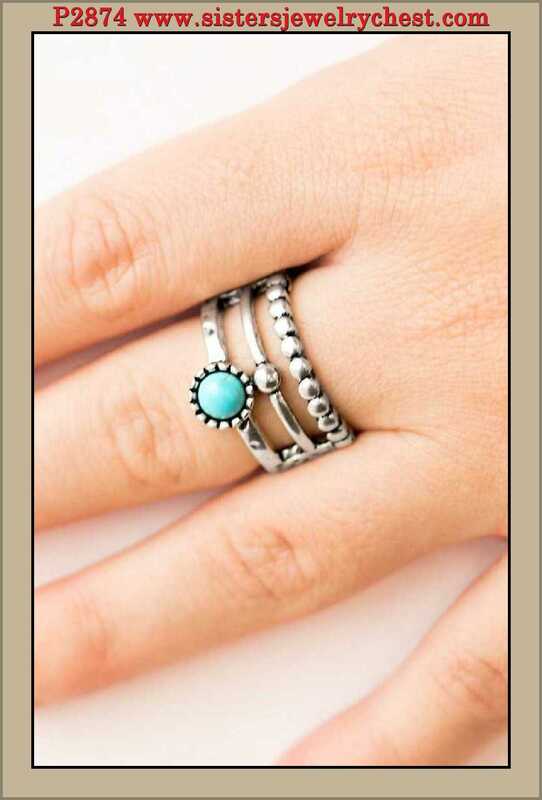 Features a stretchy band for a flexible fit.